I recently read a wonderful book — The Help — the bestselling novel by Kathryn Stockett. Set in Jackson, Mississippi during the volatile 1960's, Stockett's book follows several characters as they personally come to grips with race, civil rights and true friendship. Skeeter Phelan, a recent Ole Miss graduate and aspiring writer, is disturbed by the sudden disappearance of her family's black maid and the small injustices she sees as her white friends deal with their domestic help. With the assistance of two brave, black women, Abilene and Minnie, Skeeter writes a tell-all book detailing the lives of Mississippi families and their servants. As the women write, and once the book is published, the citizens of Jackson are forced to examine the realities of their unfair traditions and false beliefs. 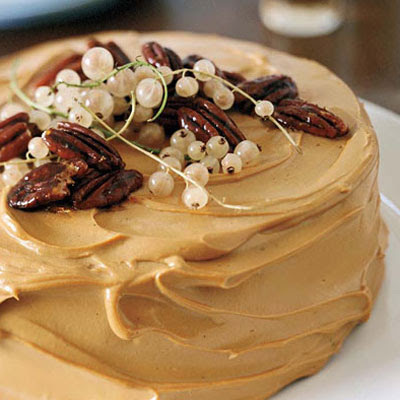 Throughout the book, Stockett referenced a caramel cake that Minny made — a southern prize-winning cake. I had never heard of caramel cake before reading the book, so I did what I often do — I 'googled' the recipe! That's when I found Kathryn Stockett's original source for Minnie's Caramel Cake — a recipe from The Junior League of Memphis Cookbook © 1952 from a recipe submitted by Mrs. Phil Thornton, Jr.
Pre-heat oven to 350°F. Cream butter and sugar with an electric mixer at medium speed for about 20 minutes or until mixture is light and fluffy. Reduce speed to low and add eggs one at a time beating well after each addition. Add vanilla and mix until blended. Combine flour, baking powder, pecans and salt in another bowl. Slowly alternate adding buttermilk and flour mixture to butter mixture, Begin and end with flour mixture and make sure to scrape down sides of bowl frequently until all is combined. Mix batter until well blended and smooth. Prepare 2 9-inch pans by lining the bottoms with parchment paper, buttering the side then dusting with flour. Divide the batter evenly among the 2 pans. Bake for 18-20 minutes or until cake is lightly browned and springs back and a toothpick inserted in the middle comes out clean. Remove cakes from pans after cooling for 10 minutes and then cool completely on wire racks. Melt 1/2 cup of sugar in iron skillet slowly, until brown and runny. Mix egg, butter, remaining sugar, and milk in a saucepan and cook over a low flame until butter melts. Turn the heat up to medium and add the browned sugar. Cook until it reaches the soft ball stage or until mixture leaves sides of pan. This takes about 10 minutes. Remove from fire, let cool slightly, and add vanilla. Beat until right consistency to spread. If it gets too thick add a little cream. This will ice a 2 layer cake. Garnish with whole pecans. Melt brown sugar and 4 tbsp butter in a saucepan over medium heat. Stir until sugar dissolves. Bring to a boil over medium heat; remove from heat. Whisk in cream; blend well. Transfer to a heat-resistant bowl. Cool at room temperature, stirring occasionally. Place remaining 6 tbsp butter and cream cheese in a large bowl; beat with a mixer on medium-high speed until smooth. Beat in vanilla and salt. With mixer running, slowly pour in cooled brown sugar mixture; beat until smooth. Add powdered sugar gradually, beating well after each addition until completely smooth. Chill slightly for a firmer texture, stirring occasionally. 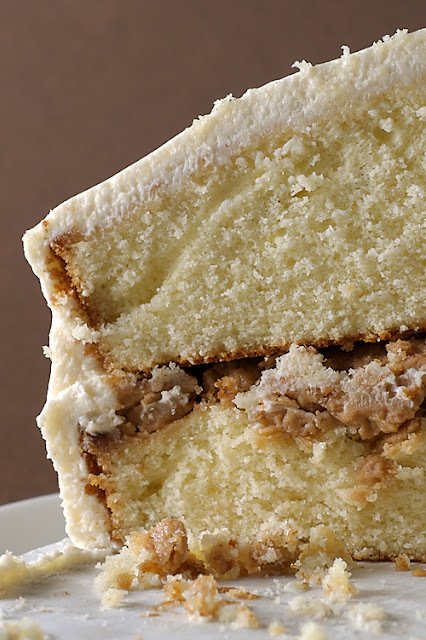 Place one layer on cake plate and working quickly, cover top with thin layer of Caramel frosting. Repeat with next layer. For Minnies caramel cake: place top layer on and frost top, then sides, smoothing icing. For modern caramel cake: place top layer on and frost top and sides with Caramel Cream Cheese Frosting. Garnish with candied pecans and small white currants, if desired. Demetrie was with Kathryn Stockett's family while she was growing up in Jackson Mississippi, and upon whom the character Aibileen was based from Stockett's award-winning book, The Help. 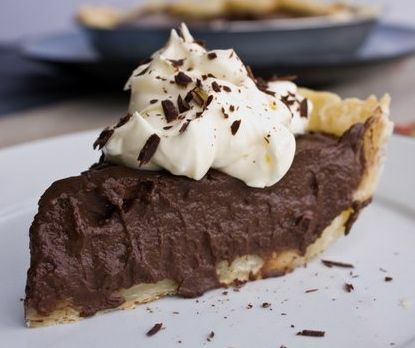 This is her recipe for her decadent Chocolate Pie. In a medium sized, cool saucepan, mix water, cocoa, and cornstarch with a whisk until all the lumps are gone, making a paste. Stir in condensed milk and egg yolks. Heat to just under a boil and stir until it’s thick. Reduce heat to low and stir in the butter and good quality dark chocolate until melted and well combined. Add in your good vanilla and keep stirring well. Turn off the heat and let it cool some. Pour into a prebaked pie shell, storebought if that’s how you do things. Let the pie set-up in a cool spot, like a plug-in refrigerator, covering with wax paper so you don’t get a skin. Dollop cream on top or top with meringue. 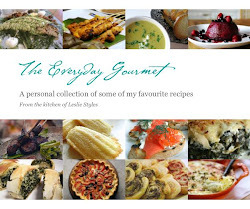 I wanted you to know that I featured this post on my blog recently. I was searching for "Minny's caramel cake" from The Help and found this post. you did an amazing post with wonderful pictures and I wanted to share. when do you add the the 1C chopped pecans to the cake batter? I don't see it. Minny (with a y) put the terrible awful in the chocolate pie, not the caramel cake. This cake has become a favourite, don't let the browned sugar cool while mixing the other ingredients for the frosting, it solidifies into glass, luckily, reheating it seems to work fine. Thanks for the recipes! Knowing they're based on real recipes from that time just makes me love the book more. The chocolate pie looks so good, but after what happened to it in the book, I don't know if I could bring myself to eat it! the top pictures frosting looks darker than the up close sliced. Are they two different cares or two different frosting types? i guess it was in the caramel cake,thats why she was offended when they sign her up for one of minny's caramel cakes. Thank you, thank you!!!!! When I read the second reference to her cake I flipped to the end to find a recipe and was completely disappointed that there wasn't one. I make Christmas Eve dessert every year and this is going to be it this year! Thank you again and happy baking! I'm very tempted to make this cake. I want to know which frosting you prefer, the original or the modern? I'm indecisive and both sound great.